Multi-talented riders coming to play and the best in the world playing to win. It’s what makes Crankworx the ultimate experience in mountain biking. Heading in to 2019, another level is being added to the experience, with Dual Slalom now elevated to a Crankworx Championship discipline. Come Friday, the festival schedule gets next-level. Some of the most hotly anticipated events hit the dirt back-to-back-to-back, for a weekend the likes of which hasn’t been seen before. 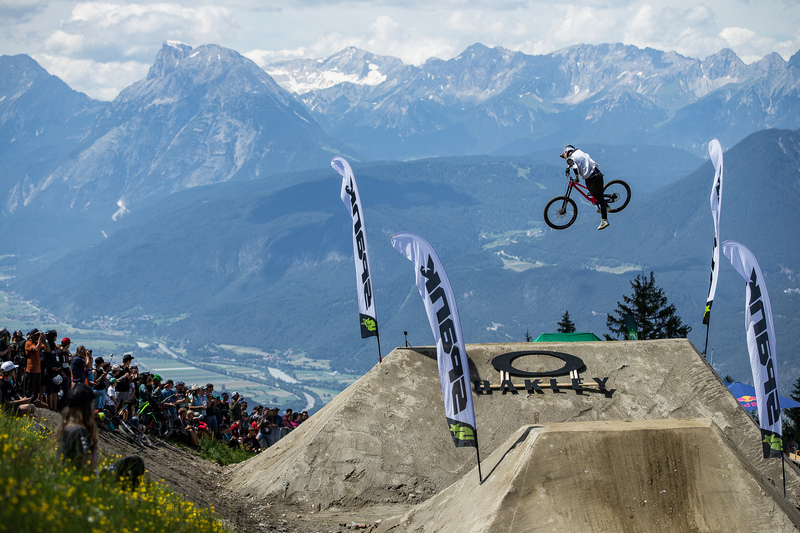 Crankworx tickets will go on sale in spring. If you want to experience the stars and the action up close and personal at the world’s largest mountain bike gravity festival then sign up now to be a Crankworx volunteer. All details about the how to register and the many areas you can work in can be found at www.crankworx.com/innsbruck/volunteers. Don’t think about it for too long – volunteers will be chosen on a first-come, first-served basis! Elation surged as Martin Maes (BEL) tasted sweet redemption, topping the podium in the Camelbak Canadian Open Enduro presented by Specialized. Danielle Beecroft’s (AUS) star rose as she unseated Queen Kintner in the 100% Dual Slalom Whistler.Disbelief was written across the face of Nicholi Rogatkin (USA) as he sank to the ground in the finish corral of Red Bull Joyride. Dropping in last, he out-scored the best in the world, winning the event and claiming the never-before-won Triple Crown of Slopestyle. More details to come about what’s new for 2019 as the pilgrimage to Whistler begins (206 days and counting) for another year.